BLUE & PINK AVAILABLE! A springtime favorite! 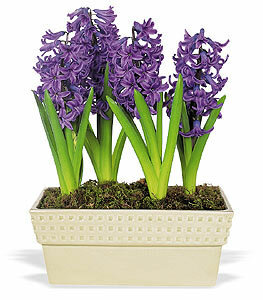 Pleasantly fragrant and long-lasting, these gorgeous planted hyacinths will be a favorite with that special someone.Ceramic container may vary depending on availabilty.